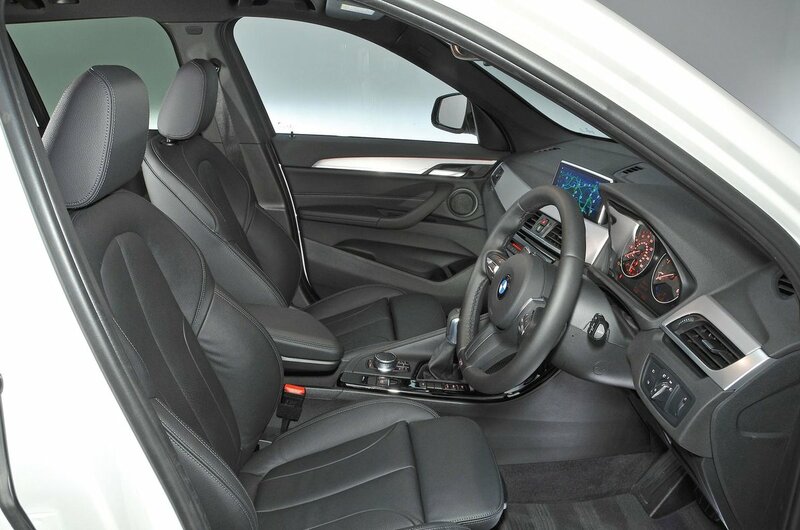 BMW X1 Boot Space, Size, Seats | What Car? There’s plenty of space for lanky adults to get comfortable, thanks mainly to the generous head room. However, the cabin isn't much wider than that of many standard family hatchbacks, such as the VW Golf, so don’t expect the X1 to feel as airy as a Volvo XC90. There’s a pair of cup holders up front that are deep and will hold a large takeaway cup. The door pockets have drinks holders that will keep a 1.0-litre bottle secure, while the small cubby in front of the gearlever is a convenient spot to store items. The centre armrest is a handy place to hide your phone and connect it to the USB input. You can stow a 500ml bottle in there, too. There’s plenty of space in the back of the X1. True, there isn't quite as much head or leg room as in a VW Tiguan, but a couple of six-footers will be more than comfortable on long journeys, especially with the sliding rear seats slid as far back as they'll go. As is the case in the X1's main rivals, carrying three adults in the back of the X1 is a bit of a squeeze, but it is certainly possible. Three kids in the back will be perfectly happy. Storage space is pretty good, too; the nets on the backs of the front seats make for convenient document holders, and if you pay a bit extra you'll also get folding tray tables on the front seat backs. The rear seats split and fold in a 40/20/40 configuration by pulling small levers in the boot, which adds an extra edge of versatility to the X1 that many rivals don’t offer. 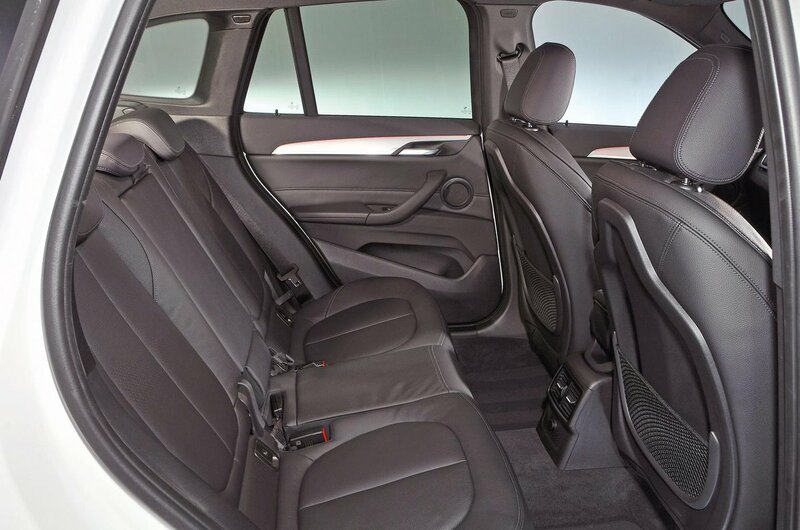 Practicality is improved further by the standard sliding and reclining rear seats. The latter feature allows you to either prioritise leg room or boot space depending on your cargo vs people-carrying needs. You also have to pay extra for adjustable lumbar support, while a folding front passenger seat is also on the options list, giving you the option to carry extra long loads. 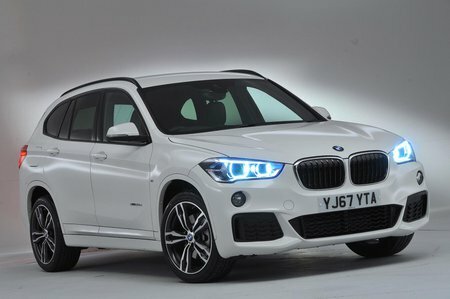 The BMW X1's boot is slightly smaller than a VW Tiguan's, mainly because it's that bit shallower. However, you'll still fit more luggage in an X1 than you would an Audi Q3 or Mercedes GLA, and the load bay is usefully square with a nice broad aperture. Folding down the rear seats increases luggage capacity considerably, and the extended load area is flat with no annoying steps in the floor. The boot entrance is also flush with the floor of the load bay, so you don't need to negotiate a big lip when loading or unloading heavy items. Better still, all X1s come with a electric tailgate; to open the boot you just press a button on the key fob and to close it again there's a separate button on the tailgate itself.